Minnesota Employment Agreement Claim Reversed, Remanded by Eighth Circuit - Trepanier MacGillis Battina P.A. A judgment in favor of a terminated employee to the tune of one million dollars on his claim of breach of a five-year employment agreement was reversed by a panel of the Eighth Circuit Court of Appeals and sent back for further review in Qwinstar Corporation v. Anthony, 882 F.3d 748 (8th Cir. 2018). Effect of Termination on Compensation. If Employee’s employment with Company is terminated by Employee or Company, Company will have no further liability to Employee under this Agreement other than to pay Employee the Employee’s Base Salary and benefits under Section 3 accrued, and expenses properly incurred, through the date of termination or resignation; provided, however, that if this Agreement is terminated under Section 4 for any reason, the Company will continue to pay the Employee (or his estate in the event of his death) the Base Salary for the balance of the five-year Term of this Agreement remaining after the date of any such death or Disability. Analyzing this language, the district court found that “if Anthony’s employment is terminated, Qwinstar owes him nothing beyond his salary and benefits accrued through termination.” On the other hand, the court noted, “the second clause guarantees Anthony his full five-year salary if the Agreement is terminated ‘under Section 4 for any reason.’ ” After concluding that this provision was ambiguous, the court applied the doctrine that ambiguous contracts are construed against the drafter—to conclude that the second clause controlled and Anthony was therefore entitled to his full salary. Specifically, the district court judge took the unusual step of ruling on behalf of the claimant on liability on summary judgment, finding that there was no disputed issue of material fact that would require a trial. The dispute had its origins in connection with the acquisition of one company by another, specifically the acquisition of corporate assets. Anthony, who sold his company’s assets to Qwinstar pursuant to an asset purchase agreement (“APA”) along with a separate employment agreement, received $50,000 along with a contractual right to be employed for five years at a salary of $200,000 per year, or $1 million. After the sale, Qwinstar determined that some of the promised assets were missing and sued Anthony for the missing inventory. Qwinstar also terminated Anthony’s employment. Anthony counter-claimed. The parties brought cross-motions for summary judgment. The judge dismissed Qwinstar’s claim (because it could not identify the missing parts) and granted judgment in favor of Anthony on his claim. Qwinstar then appealed. In reviewing Anthony’s breach of contract claim, the appellate court first concluded that the language was ambiguous. It then used several of the tools in the court’s tool box when it comes to interpreting ambiguous contracts and ascertaining the intent of the parties – not just the principle that ambiguities are construed against the drafter, which it noted should only be applied as a “last resort.” The court of appeals noted that Anthony’s interpretation rendered one of the provisions meaningless, an outcome which courts strive to avoid. It also looked to the intent of the parties as shown by parol evidence, including an earlier draft of the contact (which actually clarified the issue being litigated) to conclude that neither side should win on summary judgment and the question should go to trial. Perhaps the most common mistake that arises when drafting employment agreements is to confuse termination of the contract with termination of employment. The two events may be the same, or they may not, but if the terms are used loosely or interchangeably, unintended consequences, and litigation, are likely to arise. 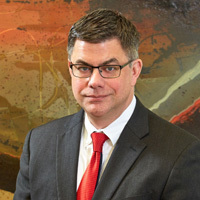 Minnesota employment contract attorney V. John Ella has extensive experience drafting, negotiating, and litigating employment contracts and executive agreements. If you have any questions about an employment contract or executive agreement, please contact him at 612.455.6237 or jella@trepanierlaw.com. Trepanier MacGillis Battina P.A. is a Minnesota employment law firm located in Minneapolis, Minnesota.